The town is situated at the center of the San Juan mining district. Prospecting began in the 1860s, but it was not until 1871 that the first profitable silver vein was discovered in nearby Arrastra Gulch. 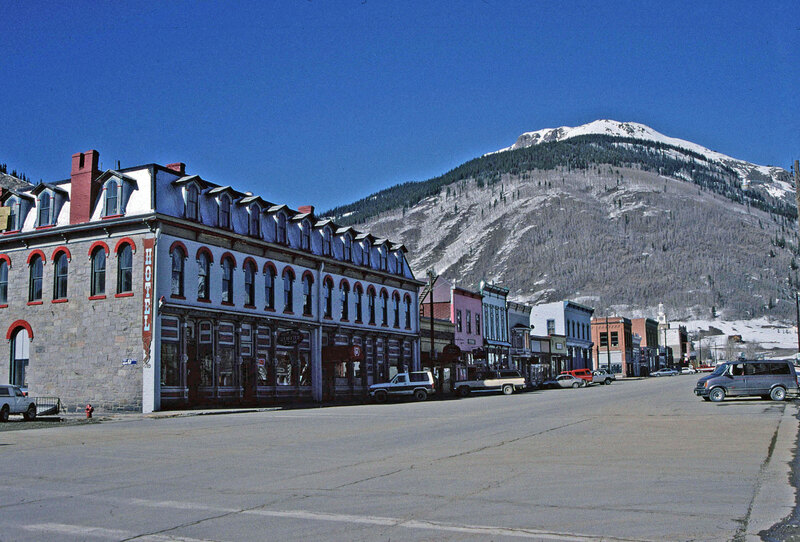 The late 19th and early 20th century residential and institutional buildings within the district reflect the prosperity brought about by one of Colorado’s richest mineral producing regions. Photo courtesy of Mark Wolfe. The boundaries of the district were expanded to include the Shenandoah-Dives (Mayflower) Mill complex, an intact example of a selective flotation mill and its aerial tram; the office/assay building of Crooke’s Polar Star Mill that reflects Silverton’s early mining history; the Animas Power and Water Company that diverted electrical power to the mining and milling operations in the Silverton area; and the Hillside Cemetery that illustrates the impact of the mining industry on the town’s working class community. The property is associated with the Mining Industry in Colorado and Historic Mining Resources of San Juan County Multiple Property Submissions. Within this district, the Grand Imperial Hotel has received preservation tax credits to help with repairs and rehabilitation.